→2013 08 04 Newsletter – The PERFECT Narrowboat Washing Machine? 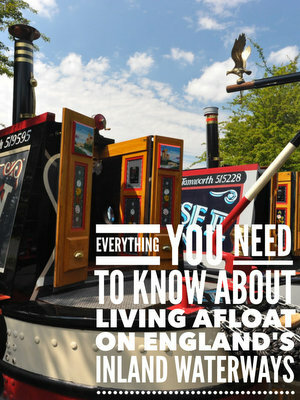 2013 08 04 Newsletter – The PERFECT Narrowboat Washing Machine? I love working at the marina. Every day is different. There I was on Thursday, minding my own business cutting the reeds around the moorings on Meadows marina, when I was called upon to do a bit of rescue work. Both marinas are generally quite windy. Meadows marina is always the windier of the two as the prevailing south westerly hits the newer marina first. Thursday was rather breezy and possibly not the best of days for a new moorer to attempt to get his shiny new boat onto his mooring for the first time. Tim and Alison on their rather fetching narrowboat Kalabash No 5 had done all of the right things. They’d approached the mooring steering into the wind and had steered close to the island to allow for the drift when they turned into their mooring. Unfortunately they didn’t know that the island shelves quite gently into the water. They grounded themselves very convincingly onto the mud. No amount of engine revving and pole thrusting would move them off during twenty minutes of trying so they were quite desperate by the time they managed to shout loud enough to get my attention. We didn’t have any of our own boats available down in the marina so I offered to pull them off with James. I enjoy any opportunity to take James off the mooring, although Sally wasn’t too impressed when I cast off as she was trying to do some washing at the time. She was even less impressed when, due to my haste to do my knight in shining armour impression, I kicked the steel shovel we use for scooping up the dog’s mess into the marina. A quick cruise around the marina to line up James’ stern to their bow, a quickly tied none slip clove hitch – keeping fingers out of the way when the boats moved apart and tightened under the pressure generated by two fifteen tonne plus loads – 2,500 revolutions from my Mercedes engine and both boats moved away from the island. I untied the rope quickly before the wind pushed me into a pontoon of moored boats, reversed away from Kalabash No 5 and headed back to my mooring…. to discover that they were stuck again. The second time they came off the mud and stayed off. Back on my mooring, Time came to say thank you, and to give me a bottle of Chateau Mont Milan Corbieres. Not only did I have the pleasure of breaking my already enjoyable day with a little adventure, but I was rewarded for it too. What a life! For the last three years I’ve managed without a washing machine on James. There are two washing machines and a dryer in the site’s shower block so I’ve used those. In the main, it’s been a satisfactory way of washing my clothes but there have been a few drawbacks. The machines are quite expensive to run. Tokens are available at reception costing £1 each. Each token runs the selected washing machine or the dryer for forty five minutes. A decent wash and dry cycle costs £5 most of the time. However, sometimes other boaters who aren’t used to the machines take their washing out and turn the power off before the cycle has finished. Consequently we sometimes find a machine half full of water so we have to use tokens to power the washing machine in order to finish the cycle. There aren’t many people on site using the machines regularly but there are enough to necessitate removing the washing as quickly as possible to prevent another boater doing it for us. Sally isn’t keen on other people sorting through her smalls. While I’m not concerned that another lady has had her hands on my underpants, I see her point. The washing machines aren’t always working either which means that we either have to wait until they are fixed, or take our washing to the nearest launderette ten miles away in Daventry. We’ve never been keen on washing our dirty linen in public so we’ve always waited a day or two for the repairs to be done. I’ve been reluctant to have a washing machine on James because of the cost but also because of the work which needed to be done to plumb it in and because of the power it would need. The two most popular models with boaters, the Candy and Zanussi compacts, both use about 1600w. My inverter is 1600w so it would run the washing machine at a push with no other electrical appliances plugged in when the washing was being done. I didn’t want the hassle of making sure everything else was turned off and then possibly having to run the engine to back up the inverter every time we wanted to wash our clothes. The possible solution was a low cost, low power consumption twin tub washing machine. Midland Chandlers used to sell one but their supplier went out of business. I tried Amazon. I bought this one because of the positive revues. It’s cheap (£99), light (13kg) and fits beautifully in the alcove next to one of our two side hatches. It’s 58.5cm wide, 36cm deep and 67cm high. And it’s low power. 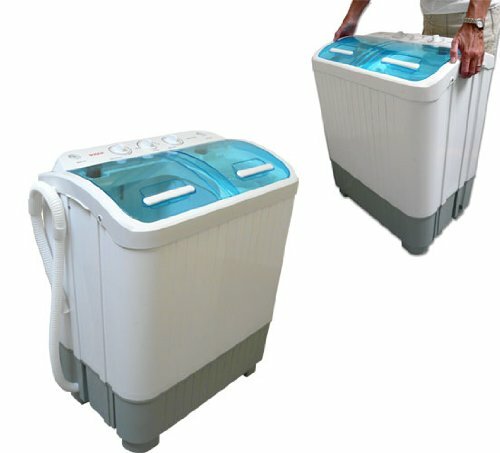 The machine uses 180w on the wash cycle and 120w on the spin cycle. It’s important to point out that is isn’t an automatic washing machine. There’s no pressing a single button and leaving the machine for an hour or so while it does all the hard work. There are two tubs; one for 3kg of washing, and another for spinning the water out of a 2kg load. Setting the washing machine up is simple. Find somewhere out of the way to keep the machine (that’s the hard part on a narrowboat), plug it in to a 230v supply and you’re ready to go. The twin tub comes with a filler hose, although filler hose is a rather ambitious name for the tiny, weedy bit of plastic. I haven’t used it. I have no intention of using it. The hose is rubbish. I could make up another more substantial filler hose for it, but there really isn’t any need. We’ve had no trouble at all filling the wash tub with a couple of bowls of hot water from the sink in the galley (You need to fill it with hot water as the twin tub won’t heat the water you add to it). To drain both the wash and the spin tubs, we just place the drain hose in the same washing up bowl then empty the water in the sink or, on a dry day, throw it out of the side hatch. There is a 15 minute timer which is used to start the washing machine. Fifteen minutes isn’t long enough so we do two or three fifteen minutes wash cycles. After the clothes are washed, we drain the wash tub and fill it with hot water again, but without detergent, to rinse the clothes. Then we drain the wash tub again, tansfer half of the washing to the spin tub, set the five minute spin timer for two or three minutes – the spin cycle is amazingly quick and efficient – take the nearly dry clean washing out, spin the remaining wet washing, Et voilá, you’re done! So it’s not an automatic washing machine. You need to be there to help it out. That aside, it’s a marvellous little machine. As I said, Sally loves it. She’s now washed everything on the boat – at least twice – including the sheets and duvet covers I thought it would struggle with. “Hi this is a difficult one to get answers for I know but here goes. As a potential C/C next year I was wondering what other C/Cs budget for, either a month or the year. I know there will be unexpected costs ie mechanical faults ect but i wonder what costs are incurred in general day to day living, How far do you travel, how long for, how do you find Tesco’s, Sainsburys on the canal is there an app for phones you use. The reason I ask is we are intending to take a gap year or two ( bit late in life 52) for a gap year with the intention of after that time becoming proper live-aboarders with moorings. As usual there’s been plenty of advice. Here are the replies.